Last week, we attended the Drapers Digital Forum 2016 in London, and heard from a range of experts in digital fashion retail. Here are three key takeaways. As retailers strive to get ahead in the digital commerce race, it is easy for them to lose focus on the customer amid the overwhelming noise of technology and Big Data. Several speakers at the conference emphasized the need to keep the customer front and center when creating a digital experience. Gareth Jones, Deputy Chief Executive of Shop Direct, spoke about the company’s goals to ensure a smooth online user experience and to identify the ideal combination of online content that will lead to higher conversion rates. Once extensive trails have been completed, Shop Direct plans to roll out new content to customers, Jones said. David Walmsley, Director of Digital at Marks & Spencer (M&S), discussed the “three strategic pillars” that the company has relied on to revolutionize its website. The first is to “capture and connect” by showing online shoppers product categories they previously browsed. The second is to provide a “killer customer experience,” which M&S does by engaging with customers through content at different points in the shopping journey; the goal is to inspire or excite shoppers, motivating them to buy a product. The third pillar is “deliver on our promise,” which M&S attempts to do by providing customers with a seamless experience. Mary Turner, CEO of British-owned Indian e-tailer Koovs.com, noted that her company had achieved 189% sales growth year over year by giving customers what they want, wherever they are. Unlike some competitors, which have focused on digital innovations rather than the customer experience, Koovs has built brand loyalty and engagement by being available through all channels, including social media. We also attended a panel discussion on competing in hyperlocal markets, where the focus is on the needs and culture of the local population. The panelists noted the various innovative business models they had used to reach more customers. Sophie Sun, the founder of Chinese luxury fashion marketplace 5Lux, said that her firm provides grants to help retailers transform their businesses from offline to online. Pavlina Louzenska, marketing director at Zoot, a Czech online fashion pure play, spoke about how her company had introduced “try and buy” stores with local partners in the Czech Republic. The idea is to give customers a chance to try on clothing they have seen on the Zoot site before making a purchase. Shop Direct’s Gareth Jones showed how Dutch airline KLM communicates with its customers through Facebook Messenger, and said that his own company is working on a similar prototype for its customer service function. As technology and consumer shopping behavior are both evolving tremendously, Jones said that “it is the end of apps as we know it,” and stated that conversational commerce would be the next big thing. Amber Atherton, founder of online jewelry store My Flash Trash, said that her company has created its own community, “the charm gang.” My Flash Trash communicates with the gang via WhatsApp, and the community members act as the brand’s content creators and customer service team. Atherton also remarked on the growing popularity of Snapchat, saying that the app helps her company see what matters to its customers and better engage with them. 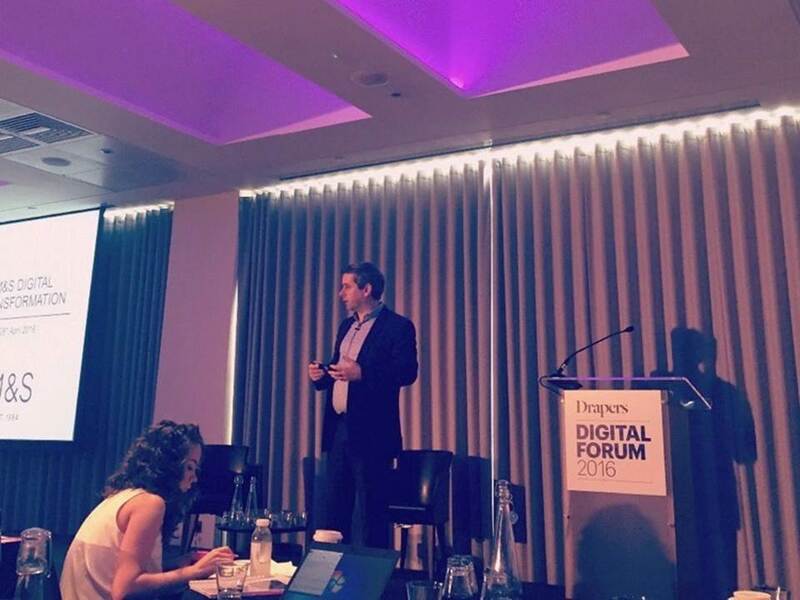 Read our full report on our experience at Drapers Digital Forum here.